Add flour, baking powder, baking soda, and salt to a large bowl. Mash in butter with your fingers, working quickly because you don't want the butter to melt. Once the mixture resembles course crumbs, make a well in the middle of the mixture and add the one cup of very cold buttermilk, stir gently with a fork just until its mixed. Flour your surface lightly and dump out the mixture and fold it a few times so it comes together better. 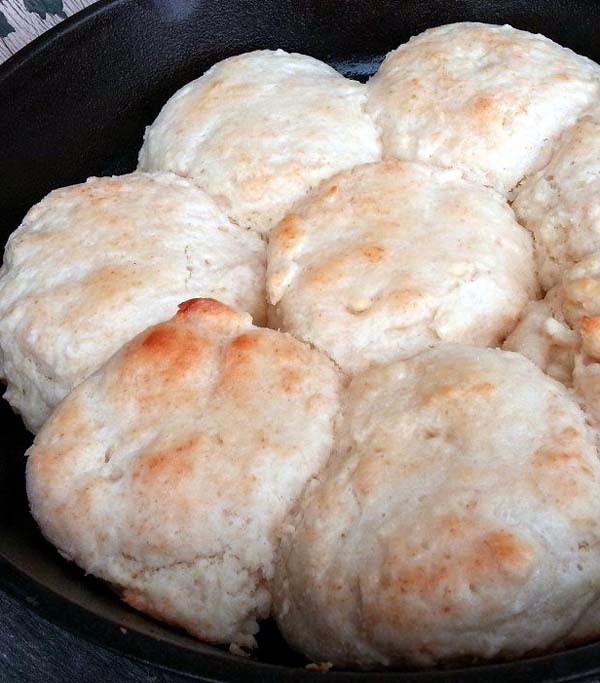 Cut with a 2 1/2 inch biscuit cutter or use a cup. Place each cut piece on a greased baking sheet. Bake for 12-15 minutes.